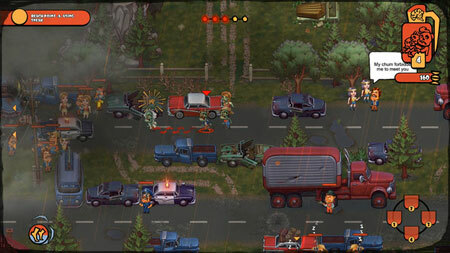 Brrrainz: Feed your Hunger is a tactical strategy game developed by Brrrainz Incorporated, with a hint of adventure and all kinds of crazy in the middle. Explore the vast territories of 1960s America, survive in a hostile world, improve your skills, loot, use tactics, and manage your horde in the wacky world of Brrrainz. To survive you must skillfully avoid traps, be smart, use tactics, loot and improve your skills along your path to victory. While exploring the world, you will meet Freaks, faithful friends of Zombie kind. Trust them and together you may uncover the reasons behind the treacherous slaughters led by the mysterious Mr. Z. Find all the clues that show you the truth. Collect zombie Freaks with special abilities that give your horde new ways to fight and solve puzzles either with their brute force, cunning or both. If you get stuck in the game, check out the video walkthrough and gameplay for the game. This entry was posted in PC Games, Walkthrough and tagged Brrrainz: Feed your Hunger Cheats, Brrrainz: Feed your Hunger Gameplay, Brrrainz: Feed your Hunger Guide, Brrrainz: Feed your Hunger Strategy, Brrrainz: Feed your Hunger Walkthrough by Marvin. Bookmark the permalink.